Those in employment should have a greater level of certainty and understanding of which employment rights apply to them. No call has been made to abolish the distinction between employees and workers but the suggestion is to amend employment legislation to make this clearer by adopting case law into legislation (particularly the employment status tests). There were previous suggestions of moving away from the three tier approach (employee, worker, self-employed) and instead having just two categories (employees and self-employed) similar to the tax position. However, this was rejected by the Review. The recommendation however, is to rename the category of “workers” as “dependant contractors” to reflect how new employment practices have moved on. In order to identify “dependant contractors”, it has been suggested that more emphasis should be placed on the element of control within the relationship and less on whether a personal service has been provided. The concern is that companies are currently hiding behind substitution clauses to avoid people having protection under employment law. The test of mutuality of obligation (the obligation to provide work and the obligation to accept work) will also remain. If mutuality of obligation exists, it points to an employment relationship. In the event there is a dispute between parties as to an individual’s employment status, the Review has recommended that the burden of proof should fall to employers to disprove someone’s alleged employment status. At present the burden falls squarely on the individual. 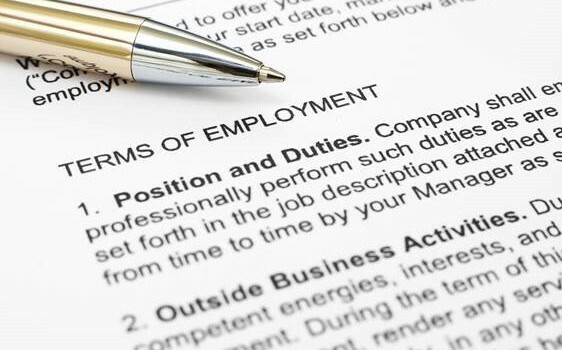 There is currently an obligation for employers to provide employees with a written statement of particulars of employment within 2 months of their start date. It has been suggested that this time period should be decreased and all statements should be provided on day one. It is proposed that a written agreement should also be given to “workers / dependant contractors” and should include detail regarding their statutory rights. In order to ensure compliance, the Review has outlined that there should be an option for individuals to bring a standalone claim for compensation for failure to produce a written statement of particulars within the specified time period. Currently, if an employer fails to provide a written statement they are only able to bring a claim in addition to another substantive claim e.g. for unfair dismissal. Currently, a worker that does not have set working hours has their holiday entitlement calculated over a 12 week reference period. This has caused issues amongst some workers especially those who are seasonal. The recommendation is to increase the reference period for calculating holiday pay from 12 weeks to 52 weeks. It is also suggested that individuals should have a choice in the way they receive paid annual leave. They should be able to choose to receive payment for their annual leave in real time known as “rolled up” holiday pay, something which was previously frowned upon. Individuals who choose to do this would receive a premium on their pay depending on their holiday entitlement. The Review advises that Statutory Sick Pay (SSP) should be reformed so it becomes a basic employment right regardless of income, similar to National Minimum Wage. More protection should be provided to those who are off work due to long term sickness. It is proposed that an individual’s job should be protected in a similar way to those who are off work due to maternity / paternity leave. However, this would still be dependent on a fit for work assessment. In order to protect the most vulnerable at work, the Review proposes that HMRC should take responsibility for the enforcement of basic rights including sick pay and holiday pay similar to the current situation for the National Minimum Wage. The Taylor Review has stemmed from the changing nature of workers within the UK, in part due to the increase in the “gig economy”. The main focus of the Review appears to be on providing greater transparency of workers’ rights and further clarity on the current employment law. It also demonstrates further the current trend for courts to scrutinise the employment status of individuals. These are purely recommendations at this stage and will need a great deal of further consideration before any changes are actually implemented. If you would like to review your current staff arrangements, please contact Andréa or Rachel to discuss matters further.